Dark huddled shapes were barely perceptible through the hazy dusk. The murmur of voices and giggles of anticipation were heard. We were ready for the performance in our makeshift theater, and the first film began, projected on the whitewashed wall of a mud hut. More than a thousand of us squatted, sat and stood in a field in Sonabai Rajawar’s village. I had purchased a fine digital projector in America and one hundred meters of electric cable in Delhi and had borrowed a table from one of the neighbors. The entire village was invited, and they had arrived in clumps and then streams as the evening darkened. It was my way to give back to them. They had shared so much with me and had recently suffered a great loss. Their beloved Sonabai was gone. As the film began, they saw the village, themselves, their children (older now), some grandparents no longer alive – everything familiar, but much changed in the intervening years. I heard laughter, quick intakes of breath, moans of pain. In the blue reflection from the screen I could see close groupings of women, their sari ends wound tightly over their heads, mustached men standing and jostling each other and children pulling at one another and pointing. Each of my four films was approximately four minutes long. The first was about their community; the second showed their harvest dance; the third was a tribute to their recently-deceased resident artist, Sonabai Rajawar; the fourth portrayed five local artists she had influenced. A short way into the first film, all went totally black – a complete power failure. I couldn’t see my hand in front of my face. Minutes later three men sped off on a motor scooter to the local power station to fix the problem. The villagers sat in patient silence. They are accustomed to such blackouts. After 20 minutes, the current was restored to great cheers, and the film began again from the beginning. There were more blackouts throughout the evening. No one minded but me. The poignancy that filled the air during the film on Sonabai was palpable. Women wailed. Men sobbed. Her loss affected the village of Puhputra, deep in the heart of this state of Chhatisgarh in central India, like nothing else in their history. Sonabai’s vision had changed each of their lives. Not far away, in a house out in the midst of the community’s rice paddies, Sonabai had been forced into almost total isolation 55 years before. For 15 years, her husband, a jealous and perhaps psychotic man, did not allow her to see or be seen by anyone except him and their young son! Sonabai had been raised in a vibrant village in a household filled with 16 family members. With no warning, upon her marriage she was suddenly locked away from any association with humanity, left to her own devices. Her response was remarkable. With absolutely no artistic training, Sonabai began to sculpt toys for her son using sticks wrapped with rice straw and covered with clay dug from her courtyard. She so enjoyed the process that she began to apply similar figures to the interior walls of her home as bas-reliefs. The high summer temperatures inside the courtyard of her home prompted her to invent an air-cooling process by making a lattice of bamboo left over from the house construction, covering it with clay and filling some of the spaces with sculptures. As Sonabai had no access to a market, she painstakingly invented colored pigments by experimenting with spices, minerals and vegetables, and brightly painted all her artwork. Over the years, Sonabai entirely transformed her home into an artistic masterpiece, bringing the outside world in. While others imprisoned or abused might express themselves darkly, Sonabai’s creativity was brilliant, whimsical, colorful and humorous. She reinvented her reality. Sonabai would never speak about why she was imprisoned, nor why her husband changed his mind to allow her outside again in 1968. The rest of her family respects her silence and will not talk about it. When her neighbors first viewed her phenomenal creations, they were astounded. It was unlike anything they had ever seen. But as none of them had traveled farther than the nearest large town, they did not yet realize how unique her sculptures were. It was not until 1983 that Sonabai was discovered by the larger world, and in very short order her entire existence was irrevocably altered. Five scouts from the Bharat Bhavan, a newly founded museum in Bhopal that exhibited folk art and contemporary art side-by-side, were touring Sonabai’s region and heard about her. In the two hours they spent in her home, they photographed her artworks and, despite her protests, pick axed out some of her sculptures to take to their museum. Six months later she was given a solo exhibition. Within two years, official escorts drove to remote Puhputra, picked up Sonabai and her son, Daroga Ram, and took them to Delhi for her to receive India’s highest honor, the prestigious President’s Award. Just six months after that, in 1986, Sonabai and her son were on a plane to San Diego to live in a tract home while they demonstrated Sonabai’s sculpting techniques at Mingei International Museum. On their return to India, Sonabai was given a year’s salary from the central government to teach 20 local Chhatisgarhi artists her sculptural style. Although she welcomed the income, Sonabai’s natural shyness enforced by her years in isolation made it challenging for her to work with so many strangers and to teach them her craft. The following year, her state government granted her another stipend to teach advanced workshops for six months. Of the 20 artists she taught, five have gained national and international recognition. Other locals have emulated her architectural ornamentation so that now in India the art that Sonabai originated is known as Surguji Style (named for her District of Surguja). The entire economy of her community and its outlying villages has been improved by Sonabai’s presence. The previously illiterate village now has several schools, one of them named for her (even though she could neither read nor write). The position of women has without question improved, as they all know Sonabai’s story and how she refused to let her spirit be suppressed by her husband. I met Sonabai in 1986 right after she returned from San Diego. I watched in wonder as she painstakingly sculpted an entire wall of lattices filled with birds, snakes and monkeys at the National Crafts Museum in New Delhi. I vowed then to visit Puhputra, but for one reason or another my trip was always postponed. I was completely overwhelmed by the masterpiece that she created when, in 1996, the National Crafts Museum Director, Dr. Jyotindra Jain, gave Sonabai carte blanche to create a large room entirely to her own taste. The result was phenomenal. I finally visited her home in 2001, and my life has never been the same since. Entering her inner spaces was a transformative experience of pure magic. I vowed at that moment to give her an exhibition in the United States and to do a book and film about her. That process took eight years. In 2004, my film team and I returned to Puhputra to live for two weeks. She and her family and the entire village welcomed us generously. The sculptures that she and her son, Daroga Ram, created were truly superb. The life they depicted spurred us into deep involvement with community rituals and festivals. We played with the children and talked with the elders, while recording the voices of local bards and participating in dances. It was a wonderful experience. I had originally hoped to bring Sonabai again to Mingei International in San Diego for her first full exhibition. But as I visited in the years following 2004, I watched her health fail rapidly and realized she would probably not be able to make the trip. As an alternative, I proposed a trip for her son and Atma Das, one of the other artists that she had influenced and whom we were featuring in the exhibition. Instead, Daroga Ram, exemplifying how diametrically different he is from his father, insisted that we bring his wife, Rajenbai, a fine sculptor who had been taught for years by Sonabai. He wanted Rajenbai to experience America and the freedom it represents. In my years of knowing Rajenbai, she had always been very reserved and shy. Last July, ten days prior to the opening of the exhibition, Daroga Ram and Rajenbai arrived in San Diego. One of the first comments Rajenbai made was: “I want to do everything and try everything!” This rural artist, carrying on her mother-in-law’s legacy, is determined to open her horizons. In August 2007, Sonabai slipped away in a stroke. She left a huge void in her family and community. I received a tearful phone call from Daroga Ram the day Sonabai died. I told him I would return to the village in a few months. In the meantime, we had much editing to do on the films. The people of Puhputra were so good to me I wanted to show them my gratitude, and the most natural way was through these small films, versions of those that are shown in the exhibition. Watching the films on that dark night three months after Sonabai’s death, they couldn’t get enough of them. Despite the blackouts, the villagers demanded that the films be shown again and again and again until, close to midnight, we finally turned off the projector. Last summer I gave Daroga Ram – to share with the entire community – DVDs of the complete documentary film, that is now traveling the film festival circuit. Today, many homes in Puhputra have televisions and DVD players as, indeed, do homes in communities throughout India. The film of Sonabai and her sculpting techniques, of the other artists and the many villagers depicted in it will provide a lasting record of their legacy for years to come. And likewise, this critically acclaimed exhibition continues to affect all who experience its wonders. Sonabai’s ability to reinvent her reality continues to inspire change in her community, throughout India and overseas. The exhibition, Sonabai: Another Way of Seeing, opened at Mingei International Museum in San Diego, Calif., on July 25, 2009, and will close September 5, 2010. A book by the same name accompanies the exhibition and is available in soft cover for $29.95. Sonabai: Another Way of Seeing, published by Mapin Publishing in association with Mingei International Museum, also contains a DVD of the film, which won the Milagro Award for best short film at the Santa Fe Film Festival on December 5, 2009. 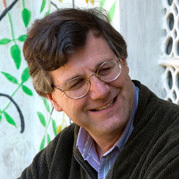 STEPHEN P. HUYLER, Ph.D., is an art historian, cultural anthropologist, photographer and author. His book, Daughters of India: Art and Identity (2008) was reviewed in The Folk Art Messenger, Winter 2008.